The Anka is a heavy duty abseil device that is built for intensive use. Its large body effectively dissipates heat and has high resistance to wear, making it appropriate for long abseils or use by groups. The stem is twisted 90 degrees so the Anka aligns correctly when attached to a harness and is correctly orientated for loading. Sculpted wings keep the rope in position for easier use. The durability and design of the Anka will be appreciated by rescue teams, outdoor centres and anyone doing large amounts of abseiling. This device increases control when abseiling. 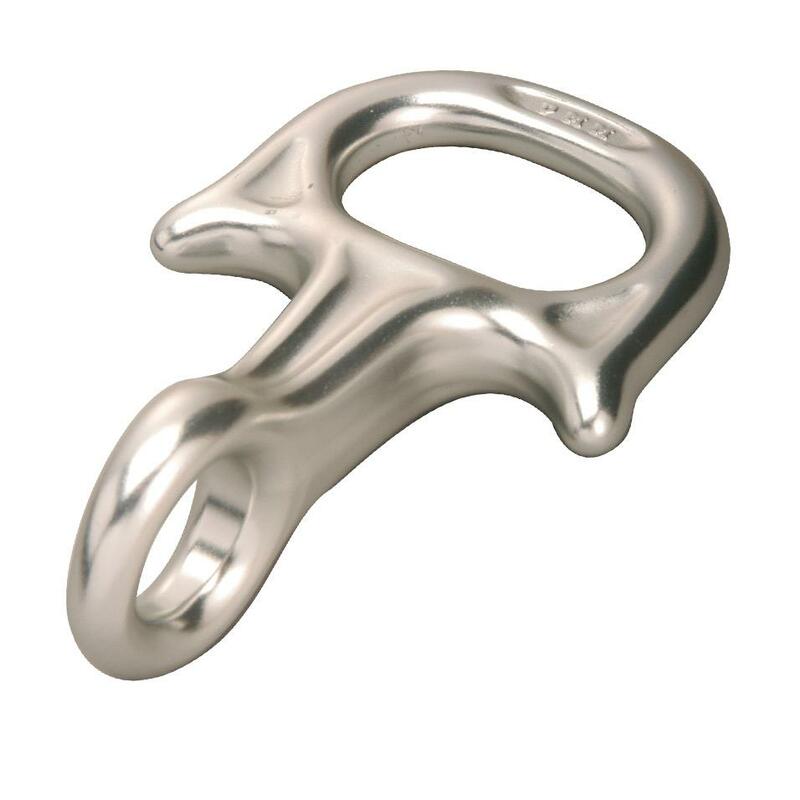 It is not intended as a belay device. This device has been built to withstand heavy use. It provides a robust belay solution for climbing walls, activity centres, and anyone who wants a long lasting belay device. This device has a large surface area that helps disperse heat built up when abseiling or intensive belaying. This makes it more comfortable to handle in these scenarios. The Anka's stem has a 90 degree twist that ensures it is correctly orientated for loading when attached to your harness. This helps prevent incorrect loading of the device, helpful when running group abseil sessions.